Paper Machine Following Equipment|QCS, Winder, Rewinder, Finished product packaging and delivery system & other paper machine following equipment. Last time we introduced the Sizing machine, Coating machine and Calender on the passage Paper Machine Main Structure, this time will introduce you some other common equipment on paper making process. QCS: QCS and quality control system, mainly used to detect quantitative, moisture, sheet temperature, thickness, coating weight, roughness, gloss, color, etc. Winder: The final stage of a paper segment that rolls a continuous web into a single finished large roll for transfer to the finished product. 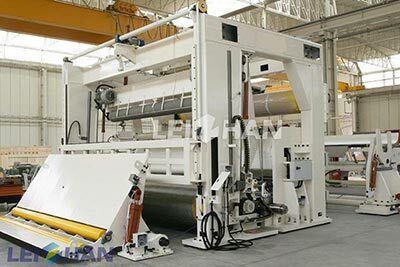 Rewinder: The finished large paper roll is cut into small paper rolls of different specifications required by the customer’s order. Finished product packaging and delivery system: The finished paper is weighed, packaged, information entered into the database and finished product storage. Paper cutter: The paper roll is divided into different specifications of the flat paper.